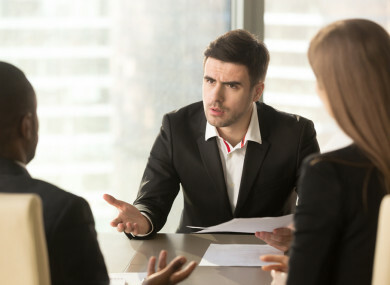 OVER 25% OF Irish employers experience a workplace dispute last year, a new report has found. Disciplinary issues account for the single greatest cause of disputes at 37%, followed by grievances at 32%. Over 250 organisations representing more than 50,000 employees from across the private and public sectors responded to a survey by the Adare Human Resource Management (AHRM) HR Barometer. Established in 2003, AHRM is a provider of employment law, industrial relations, and human resource management services. The survey found that 17% of organisations had experienced a personal claim injury in 2016, while 35% of those who experienced a dispute last year were referred the Workplace Relations Commission or Labour Court. The majority of organisations believe that this has put an additional burden on HR resources, as time spent by the departments dealing with these issues has either increase (37%) or stayed the same (49%). The survey found that the reported average absence rate was 4% among organisations recording absences and 42% of organisations said they had no plans in place to reduce it. Organisations who are not recording absences cannot monitor employees effectively or identify patterns of poor attendance, the AHRM said. “Without putting in place measures to monitor and record absence, organisations will find it difficult to understand if a problem exists and, if it does, to determine the extent and cost of the problem,” Derek McKay, managing director of AHRM said. Meanwhile, a clear disconnect appeared between the perception of the causes of employee retention issues and the measures being taken to address it. The number one reason for employees to move on was career progression, with remuneration and benefits being a much lower priority. However, the main incentive in place to boost retention is improved remuneration and benefits. Despite acknowledging it as an issue, more than half of the organisations surveyed are not recording the extent of their employee turnover. In those that are recording it, average rates of 11% are being experienced. Almost a third of organisations have said they have not introduced any initiatives to improve employee retention in 2017. “Retention initiatives should be aligned to the reasons why employees are leaving the organisation and robust enough to adapt to the changing needs of employees as we navigate within a much tighter labour market,” McKay said. Employees want to know what investment their employer will make in their development. Employees tend to perform much better when they have a clear understanding of their development needs and potential future opportunities within their organisation. Email “One in four Irish employers experienced a workplace dispute last year”. Feedback on “One in four Irish employers experienced a workplace dispute last year”.